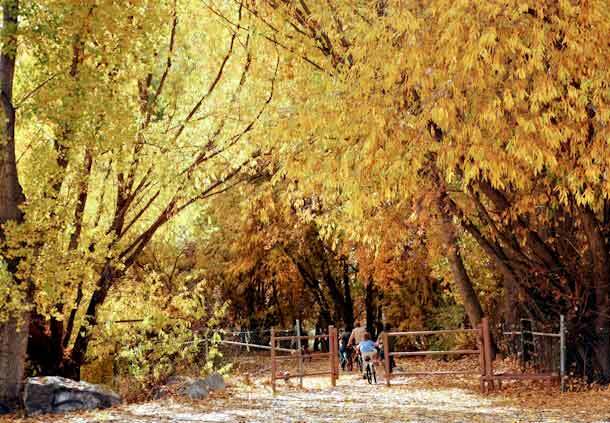 Thanks to the passing of the RAP (recreation, arts, and parks) tax, Provo will soon be seeing some much-needed improvements to the southern portion of the Provo River Trail (headed towards Utah Lake). What would you like to see? Start thinking now so you can weigh in with the city when the time is right. If you’re not sure, hop on your bicycle and ride the Provo River Parkway down to Utah Lake. It’s a GORGEOUS ride right now, with tunnels of shimmering golden leaves and even jack-o’-lanterns shining from the shore near the ropes course.